Just because you don’t have dental insurance doesn’t mean you can’t enjoy great savings on quality dental care, right here in Saucon Valley. 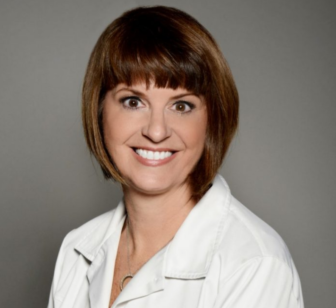 Dr. Ann Hunsicker-Morrissey is the owner of Hellertown Dental Group. Hellertown Dental Group owner and dentist Dr. Ann Hunsicker-Morrissey began offering this program nearly 10 years ago, and says it’s ideal for anyone without dental insurance coverage. “It has really worked well for a lot of people,” she said. Unlike conventional insurance plans, with the Advantage Savings Program there are no deductibles, no yearly maximums and no waiting periods to begin treatment. In fact, Advantage Program benefits coverage begins immediately upon plan registration. Patients can easily purchase and manage their plan online via the Hellertown Dental Group website, where they also have exclusive access to the HDG Patient Store. The store has over 500 professional grade products, not available in retail stores, and offers free shipping and select pricing on premium oral care items to members of the Advantage Program. The Advantage Program is not an insurance plan, but an annual reduced-fee savings plan for families and individuals that allows members to receive quality dental services at greatly reduced prices. For more information about the Advantage Program, please visit the website and/or call Hellertown Dental Group at 610-628-9337. The office is located at 1213 Main St., Hellertown, PA 18055. Click here to follow Hellertown Dental Group on Facebook and here to follow them on Instagram.